The Best Coaching blogs from thousands of top Coaching blogs in our index using search and social metrics. Data will be refreshed once a week. Coaching newsletter is a comprehensive summary of the day's most important blog posts and news articles from the best Coaching websites on the web, and delivered to your email inbox each morning. To subscribe, simply provide us with your email address. Global About Blog The International Coach Federation (ICF) is the largest worldwide resource for professional coaches, and the source for those who are seeking a coach. We are a nonprofit organization formed by individual members-professionals who practice coaching, including Executive Coaches, Leadership Coaches, Life Coaches and many more, from around the world. Facebook fans 82,762. Twitter followers 24,192. Shrewsbury, NJ About Blog The iPEC is the first and still the only ICF accredited coach training school to include all of the training needed to qualify and thrive as a Masterful and Successful Coach. The program provides the most coach training hours possible in the least amount of time. iPEC teaches a deep curriculum based on a unique and proprietary methodology and holistic philosophy. Facebook fans 19,280. Twitter followers 69,569. Australia About Blog Coach Training International Coach Academy is a global certified coach training school offering ICF accredited coach training programs for people wanting to become a professional life coach, business coach, executive coach, spiritual coach and more. Facebook fans 4,918. Twitter followers 125. San Rafael, CA About Blog CTI is the largest in-person coach training school in the world and the only program to teach CTI's ground-breaking Co-active Coaching model in highly interactive courses. CTI's proven whole-life coaching approach enables people to achieve success and fulfillment in their work and life through a powerful coach/client alliance that promotes and enhances the lifelong process of learning. Facebook fans 12,641. Twitter followers 21,253. Orange County, California About Blog Hi, I’m Dave Stachowiak, the founder and host of Coaching for Leaders. I founded Coaching for Leaders in 2011. I was named in Forbes as one of the 25 Professional Networking Experts to Watch in 2015 and have also been featured in U.S.
Facebook fans n/a. Twitter followers 1,945. Salt Spring Island, Canada About Blog Save yourself time, effort, attract more clients and have more Aha! moments with our Ready-Made Coaching Tools, Forms & Exercises! Facebook fans 5,788. Twitter followers 3,423. Hudson, Ohio About Blog The Institute for Life Coach Training is the leading international provider of coach training and web-enabled coaching resources for counselors, psychologists, therapists and other helping professionals. Facebook fans 2,335. Twitter followers n/a. About Blog Million Dollar Coach is the must-have resource for coaches. Increase your income, work when and where and how you want, get your clients remarkable results … and live a life of massive personal freedom. It addresses the critical issues affecting coaches who are struggling to make a high six- or seven-figure income. Facebook fans 11,059. Twitter followers n/a. San Diego, CA About Blog I help coaches change the world and get paid. I also coach small businesses, helping them build sales teams of top producers. Facebook fans 443. Twitter followers 7,246. Ontario ,Canada About Blog Certified Coaches Federation is the LEADER in certified life coach training & executive coach training. We have over 12,000 graduates worldwide. Facebook fans 1,958. Twitter followers 1,662. Orange County, CA About Blog The Spencer Institute offers Life Coach Training, Holistic Education, Nutrition Coaching Courses, Sports Psychology Classes, Health and Wellness Coach Certification Programs and much more. Learn techniques, strategies and best practices by leading coaches. Facebook fans 6,459. Twitter followers 849. London About Blog Accredited life coaching course and coaching supervision training delivered in London. We provides transformative coach training and development, and by leading inquiry into the future of coaching and the application of transformative theory to coaching and wider society. Facebook fans 2,849. Twitter followers 1,039. Atlanta, GA and North Charleston, SC About Blog Coach blog for life coaches, business coaches, career coaches and more. Great tips and tools to use in your coaching business. Facebook fans 1,228. Twitter followers 193. Global About Blog Welcome to CoachNet! This is the premier location on the web for coaching and coach training from a faith-driven perspective. CoachNet believes in leadership development through effective coaching. CoachNet is all about coaching for growth and coaching for results. Facebook fans 1,220. Twitter followers 803. Weymouth, Dorset About Blog International Coaching News is an online magazine created by leading figures in the coaching world. International Coaching News is a quarterly online magazine which caters to a person’s need for self-development. ICN also delivers the latest news about the coaching world where coaches, future coaches and subscribers are always updated. Facebook fans 1,815. Twitter followers 1,457. Portland, Oregon About Blog Coach Training World offers online & in-person ICF Whole Person Coach Certification trainings and our signature "CoachPreneur: Coaching Business in a Box" Training program for those who want to become a coach and start their own coaching business. Facebook fans 293. Twitter followers n/a. Toronto, Canada About Blog Choice, a professional magazine on life coaching, leadership and starting a business. Latest information about professional development and business growth. Facebook fans 5,526. Twitter followers 3,600. Alexandria, VA About Blog JST Coaching & Training has established an exceptional reputation in the field of personal and professional coaching and coach training. The company provides training courses for both certified and non-certified coaches; and for parents, allied professionals and organizations interested in learning coaching skills to provide support for students including those with ADHD/EF/LD. Facebook fans 1,221. Twitter followers 1,954. About Blog Professional life coach training from your home via live webinar, Scholarships available, ICF & CCA Certified Training. Be an inspiration. be inspired. Facebook fans 2,600. Twitter followers 4,044. Portland, Oregon About Blog Coach Training EDU offers ICF approved life coach training in the professional, wellness, and academic life coaching fields. ICF accredited & based on Positive Psychology. Follow the latest insights & research in the personal development fields on Coach Training EDU's blog. Facebook fans 1,658. Twitter followers 1,155. Lakeland, FL About Blog Center for Coaching Certification is offering quality training for business, life, and executive coaching designed by coaches for coaches and leaders. Their mission is to enhance your Coach training experience with quality, professionalism and support. Facebook fans 555. Twitter followers 2,790. Weymouth About Blog Coaching Blog by Gerard O Donovan who is one of the worlds' leading Master Coaches & founder of Noble Manhattan Coaching. Facebook fans 14,267. Twitter followers 34,404. USA About Blog Health Coaching Resources is a support website for Health Coaches. We help coaches start, build, support, and grow their business. Facebook fans 9,256. Twitter followers 180. Sacramento, CA About Blog We are build a global community of people who are living lives they are meant to live and creating a thriving world for all. Our curriculum turns timeless wisdom into practical skills that have helped tens of thousands to live and serve with clarity, focus, ease, and grace. Facebook fans 775. Twitter followers 41. Nevada City, California About Blog Read blog posts from master certified coaches sharing insights about NLP training life coaching, leadership coaching, executive coaching, and many more. Facebook fans 2,377. Twitter followers 248. London About Blog Coaching at Work: the go-to-place for coaching. Bi-monthly magazine, newsletters, global Linkedin group, free coach listing, events, awards, surveys. Facebook fans 439. Twitter followers 4,836. Worldwide About Blog Worldwide Coaching Magazine E-magazine about Life, Business and Executive coaching. WCM brings the latest news on coaching: the latest research, tools for professional and personal development, insightful articles, videos and remarkable stories for everyone interested in the profession of coaching. Facebook fans 1,626. Twitter followers 2,416. Toronto, Ontario, Canada About Blog Business coaching, mentoring, training and courses for women entrepreneurs to attract coaching clients and grow a thriving coaching business. Facebook fans 1,773. Twitter followers 3,985. Mushroom Kingdom About Blog Our award-winning coaches blog hard on health, dating, and general geekery. Our guest bloggers may blog even harder on anxiety, writing, cosplay, and more. Facebook fans n/a. Twitter followers 46,360. Globe, AZ About Blog The Mission of Coaching Warehouse is to provide coaches and leaders around the globe with the right tools. We aim to provide a cost effective platform which enables coaches to learn and grow together and enhance coaching capability worldwide. Facebook fans 116. Twitter followers 281. About Blog Coaching4Clergy offers coaching services to Spiritual Leaders as well as Coach Training Options. They specializes in coach training for pastors, church leaders and ministry staff. They provides all the help that needed to become an accredited coach. Facebook fans 410. Twitter followers 837. Texas, USA About Blog CoachingbyKimesha offers self esteem enhancement, private life coaching, business startup coaching, and global inspirational speaker. Facebook fans 5,945. Twitter followers 2,526. Singapore About Blog BP Coach provides coaching and training services in Singapore and Asia Pacific to help individuals and businesses elevate their performance. Facebook fans 10. Twitter followers n/a. Washington About Blog The Women’s Leadership Institute for Conscious Coaching llc (WLICC) is an online life coach certification school specifically geared toward women. This web-based life coach training is taught as a distance learning experience through the use of pre-recorded video and audio lectures so students can learn at their own pace at whatever time of the day or night that best suits them. Facebook fans 445. Twitter followers 13. London, UK About Blog Jenny Rogers is one of the UK’s most experienced executive coaches with 25 years of successful experience. Her clients include Chief Executives and Directors of some of the UK’s best known organisations. She is offering coaching, coaching training, supervision and opinions. Facebook fans n/a. Twitter followers 594. UK About Blog Curly Martin is the pioneer of Life Coaching in the UK. She is an outstanding Trainer and Coach. Facebook fans n/a. Twitter followers 1,238. London About Blog We specialise in both NLP training and Life Coach Training. If you’re relatively new to these fields or want some more in-depth training we have a range of courses to suit your needs and budget. Facebook fans 3,039. Twitter followers 13,222. Eureka, Kansas About Blog We have a variety of coaching, speaking and training opportunities for the marketplace and ministry to lead and live with passion, purpose, and intentionality. Facebook fans 770. Twitter followers 52. Murfreesboro, TN About Blog Valerie Priester is a Certified Business & Life Strategist and a Certified Les Brown Maximum Achievement Coach who helps busy women who aspire to be heart-centered coaches build a coaching business that fits within their current phase of life and allows them to generate an income while doing what they love. Facebook fans n/a. Twitter followers 542. Tucson, AZ About Blog Integrative Coaching Blog for Life Coaches, Business Coaches, Management Coaches. We train to a Professional Certified Coach or "PCC" standard and are fully accredited with the International Coach Federation. Coach training can lead to a full time career, or add on to an existing career path. Facebook fans 95. Twitter followers 10. About Blog The CliftonStrengths Coaching Blog is a resource for those who want to help others truly understand their strengths and learn how to use them. Gallup experts and outside contributors share tactics, insights, and strategies to help strengths coaches maximize the talent of individuals, teams, and organizations everywhere. Facebook fans 909. Twitter followers 70. About Blog Jehle Coaching is client-centered, solution-focused and success oriented. Like consulting, coaching is outcome oriented, examining visions, action plans, inspiration and feedback. Business and start-up coaching are offered, as well as OQM® Consulting. Jehle Coaching uses a wide variety of professional development procedures to foster extensive, high-quality implementation of interventions. Facebook fans 253. Twitter followers n/a. Albany, New York About Blog The ADD Coach Academy is the Global Leader in ADHD Coach Training and Education. We provide the most effective ADHD coach training available anywhere. We have a reputation of consistently graduating the largest and most respected group of ADHD coaches in the world. Facebook fans 7,521. Twitter followers 4,647. Facebook fans 292. Twitter followers n/a. Boulder, CO About Blog Coach Training Alliance is a leading global coaching organization. Our International Coaching Federation certified programs, courses and workshops create positive change that delivers long-lasting impact. Facebook fans 10,403. Twitter followers 1,792. About - Integrity Coaching works with headteachers and senior school leaders to help unleash their ability to impact future generations. Viv Grant is the Director of Integrity Coaching and has a strong track record in working with other to help raise standards in Education. About - The Kids Coach offers life coaching for kids helping them deal with problems and solve their issues, making them happier and less stressed. About - Emma Mumford is a fully certified Life Coach, Award-Winning Blogger, YouTuber and Public Speaker. 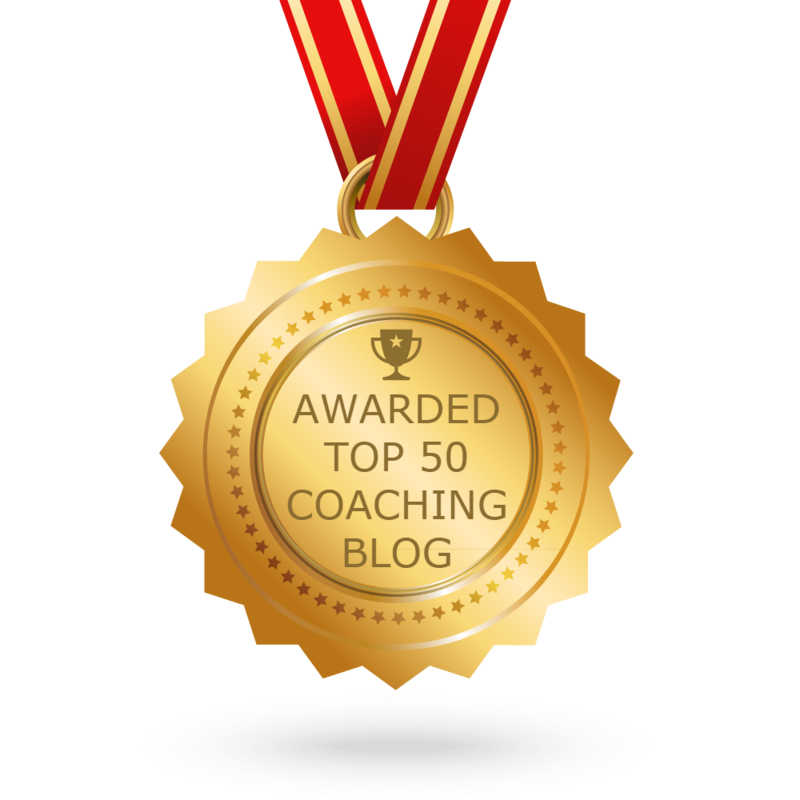 CONGRATULATIONS to every blogger that has made this Top Coaching Blogs list! This is the most comprehensive list of best Coaching blogs on the internet and I’m honoured to have you as part of this! I personally give you a high-five and want to thank you for your contribution to this world.